Christoffer Strandh writes the songs, sings and plays mostly on the electric guitar. But he is also a multi-instrumentalist and plays a various of instruments on the records; such as bass, trumpet, piano, drums, percussion. He likes to record by himself but also with different people. Joen Rey is the drummer of Chris Beach (2007-), and he plays drums and percussion on Kul Och Ses.Verkligen and Gör som du vill bara du gör som jag säger, and he is also a co-producer of some recordings (Kul Och Ses.Verkligen, Thaimat och klart and Gör som du vill bara du gör som jag säger). Nicklas Kempe is the bassist of Chris Beach (2008-), but he is also a multi-instrumentalist and sings background vocal, and he plays a lot of drums on the record Kul Och Ses.Verkligen, he plays mostly bass but also drums on Thaimat och klart. and he is also a co-producer of some recordings (Kul Och Ses.Verkligen, Thaimat och klart and Gör som du vill bara du gör som jag säger). Anders Corso is the background singer number one of Chris Beach (2013-), and he plays percussion and keyboard, and he is also a multi-instrumentalist. Jonas Barnö is the background singer of Chris Beach (2011-), and he sings on Kul Och Ses.Verkligen and Porta bra, ohämmad bäst. He also writes his own songs as Råtta. Joen Rey, Nicklas Kempe, Ivan Rey and Christoffer Strandh are also a part of Råtta. 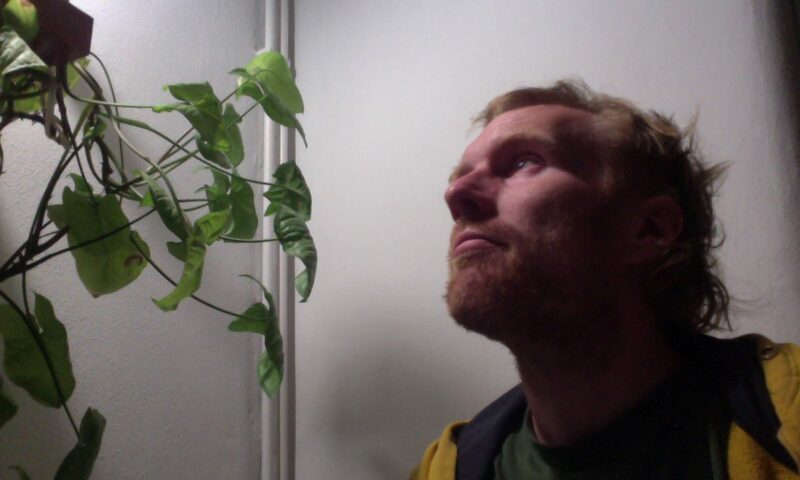 Daniel Černý is the keyboard player of Chris Beach (2010-2014), but he also plays bass, percussion, drums on Kul Och Ses.Verkligen and Thaimat och klart. Ivan Trpík is bass player of Chris Beach (2014-2015), in Czech Republic. Beata Bocek is bass player and background singer of Chris Beach (2012-),in Czech Republic and in Sweden. Lucie Redlová is background singer, mandolin player and percussionistka of Chris Beach (2012-2015), in Czech Republic. Johan Björnsrud was the first drummer of Chris Beach (2003-2012), and helped a lot with the start of the group, and he has always been a good support. He is also part of designing the double vinyl record Kul Och Ses.Verkligen (2012), and he is also playing drums (Fixa ditt eget hus…, Kul Och Ses.Verkligen) and violin (Porta bra, ohämmad bäst) on different recordings. Jesper Balfe was the first bass player of Chris Beach (2003-2012). He plays bass on Fixa ditt eget hus…, Kul Och Ses.Verkligen. Fred Saboonchi was the solo guitarist of Chris Beach (2007-2012), and he plays some guitar on Kul Och Ses.Verkligen. Anders Sjögren is one of the bass player of Chris Beach (2007-), but he has also plays drums and bass clarinet. He plays bass and bass clarinet on Kul Och Ses.Verkligen , and drums and tenor saxophone on the song Hjärtat Bankar (recording from 2008). He is a multi-instrumentalist and has his one-man-band called Allt Är Musik. Daniel Tankred was the recording engineer of Chris Beach (2007-2012), and he plays bass on Kul Och Ses.Verkligen. He recorded Fixa ditt eget hus innan du målar om andras. and Kul Och Ses.Verkligen. He and Michael Nordström started the record label Diapazam, which released three Chris Beach records. Michael Nordström was the recording engineer of Chris Beach (2003-2012) and he plays bass on Kul Och Ses.Verkligen. He recorded Kul Och Ses.Verkligen and som parts of Den förra va bättre extended version. He and Daniel Tankred started the record label Diapazam, which released three Chris Beach records. Michal Rosenzweig is the recording engineer of Chris Beach (2012-), and he recorded parts of Porta bra, ohämmad bäst. Alex Hinchcliffe is the recording engineer of Chris Beach (2013-), he recorded parts of Porta bra, ohämmad bäst and Gör som du vill bara du gör som jag säger.